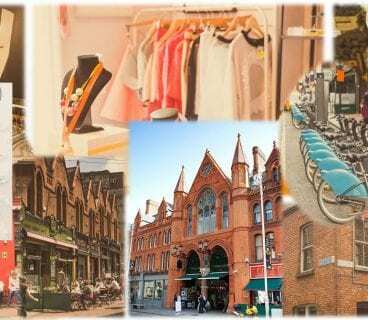 Why not pack the bags, head into The Grafton Quarter, and have a fun-filled family day out in DublinTown! From museums, to tours and delicious meals, The Grafton Quarter has more than plenty to keep those little ones entertained! Check out some of the best family fun things to do now and make a day of it! The Little Museum tells the remarkable story of Dublin in the 20th Century. 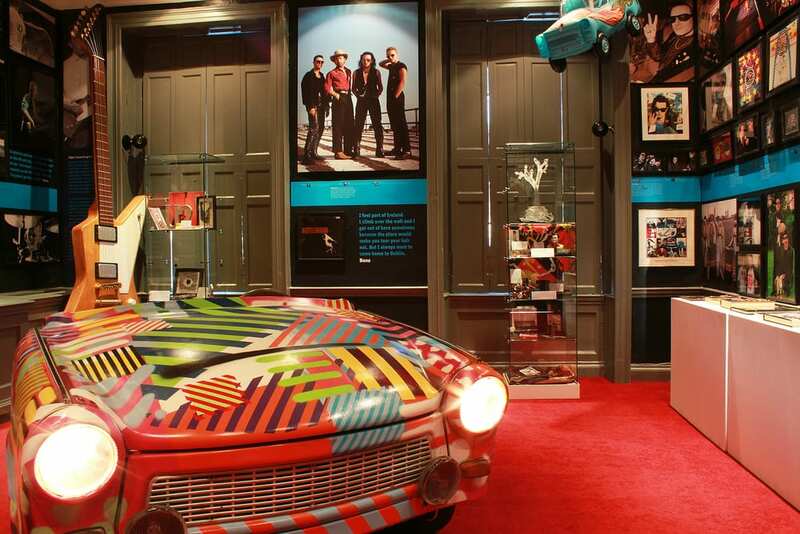 Boasting artifacts from famous visitations such as those by Muhammad Ali and President J.F. Kennedy as well as items related to all aspects of Dublin’s history, The Little Museum of Dublin is truly unique. It was named as “Dublin’s Best Museum Experience” by the Irish Times, and has also been nominated for the European Museum of the Year Awards. Children of all ages are given worksheets and there are lots of fun things to do throughout the building. Family tickets (2 adults and up to 3 children) start at €20, and are available via their website. The Gaiety is one of the most iconic venues in DublinTown. A truly traditional theatre experience, the architecture and décor inside The Gaiety Theatre is exquisite. 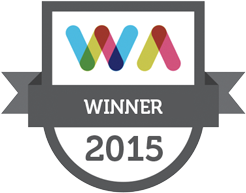 Choose between opera, musicals, drama, revues, comedy, concerts, dance, festivals and pantomime. Whatever you’re little ones are into, there’ll be something for them to enjoy in The Gaiety. We recommend catching the famous Gaiety Pantomime that takes place every winter and is a must for a festive family night out! Tickets vary in price depending on the show, but their programme of what’s on is available on their website. 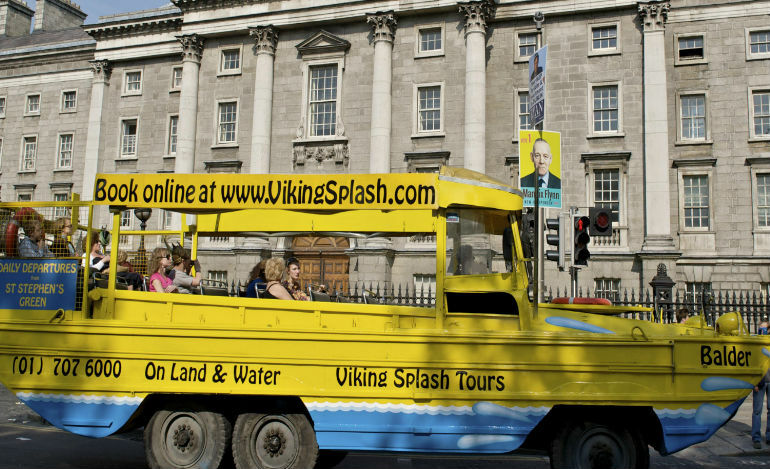 The Viking Splash departs from Stephen’s Green North every 15-30 minute during peak times and every 90 minutes off-peak. This thrilling tour brings you around the main sights of Dublin City – by land and water! The Viking Tour Guides show you the sites and scenes of the capital city from a World War II amphibious vehicle – all whilst their Viking guides deliver an informative, entertaining and engaging commentary, ensuring all are captivated on this thrilling tour! 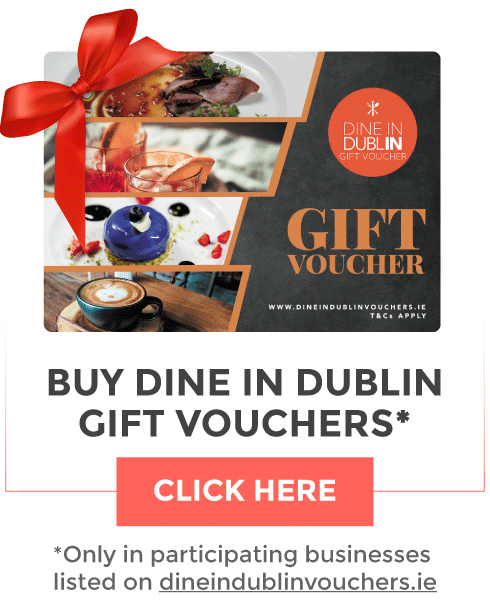 Known as the most exciting and thrilling tour of Dublin, both you and your kids are sure to enjoy every second of this unique DublinTown tour!! Children’s Tickets from €13 and Adults from €25, and are available to purchase from their website. Why not grab some of Gino’s famous Gelato from their counter on Grafton Street and take a stroll around the beautiful St. Stephen’s Green. 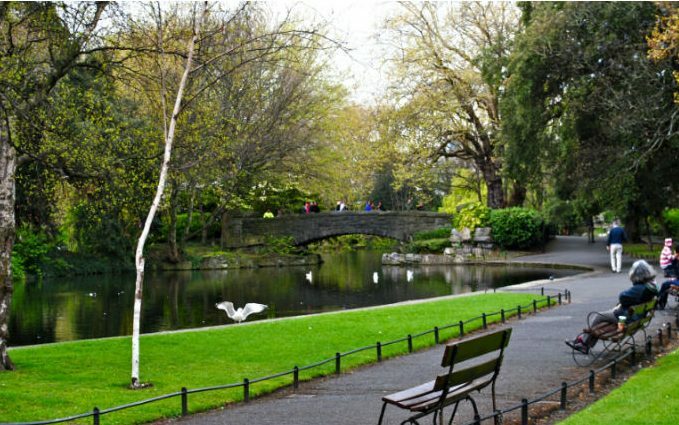 We are truly so lucky to have a city park as incredible as St.Stephen’s Green in the city centre, a stunning oasis of green calm in the middle of our busting city. There’s a playground that all children are sure to love, equipped with swings, a slide and a climbing frame. Or why not take a walk by the pond, and have a gander at the ducks, the geese, and the famous St. Stephen’s Green Swans. The park closes when darkness falls, and so be sure you check the opening times on their website before heading in. For something a little educational, why not head into Trinity College Library and take a look at the Book of Kells. The ehibition is a must-see for visitors of Dublin and Dubliners alike. 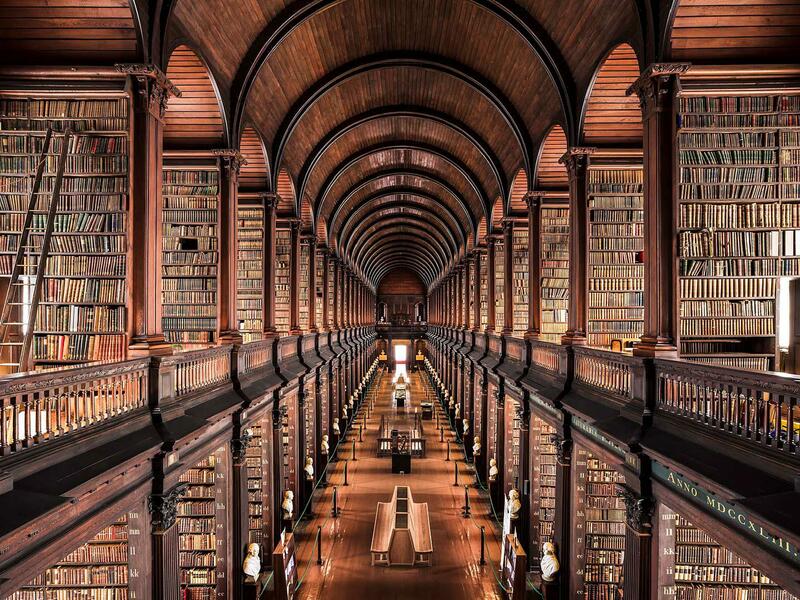 The magnificent library building, in which the historic Book of Kells is housed, was built in the 18th century, and a walk through the cobbled stones of Trinity College will bring you right back to this time. The Book of Kells really is Ireland’s greatest cultural treasure and the world’s most famous medieval manuscript. The 9th century book is a richly decorated copy of the four Gospels of the life of Jesus Christ. Tickets and time information is available on the Trinity College website. Why not take a look at our Restaurant guide to see the best Family Friendly restaurant in the Grafton Quarter for when it’s time to grab a bite on your family day of fun! 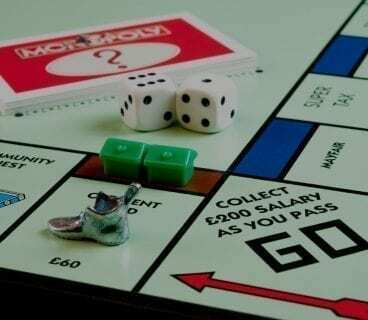 Spend time quality family time in The Grafton Quarter with some of these brilliant activities that your whole family is sure to enjoy. Whether it’s an afternoon, or a whole day to plan, there’s plenty of things to do in The Grafton Quarter that will prove popular with everyone! Rock ‘n’ Roll Half Marathon Returns to Dublin this August!